The excellent reliability of the previous month is gone. 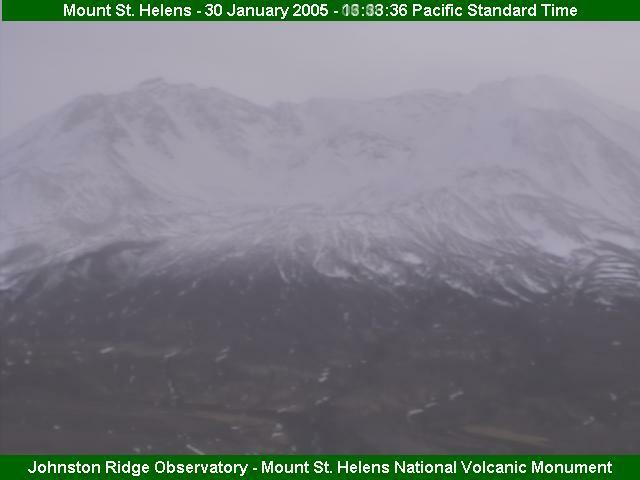 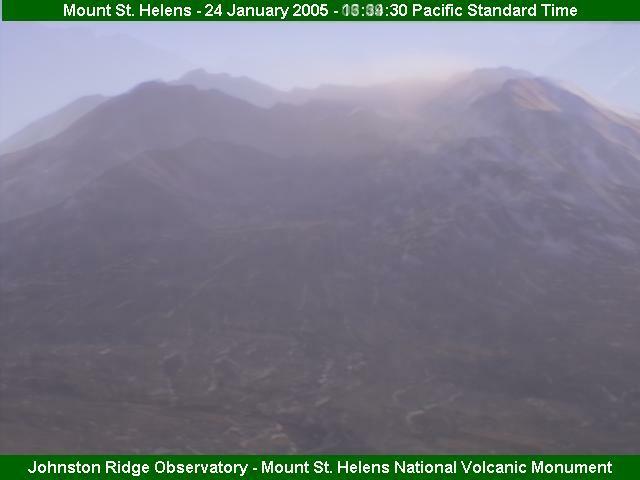 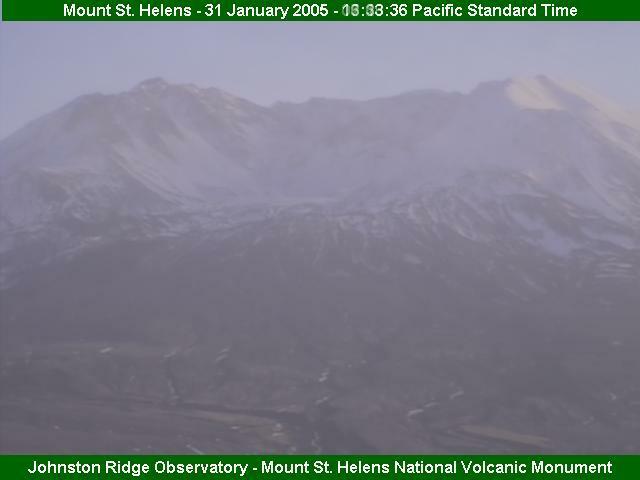 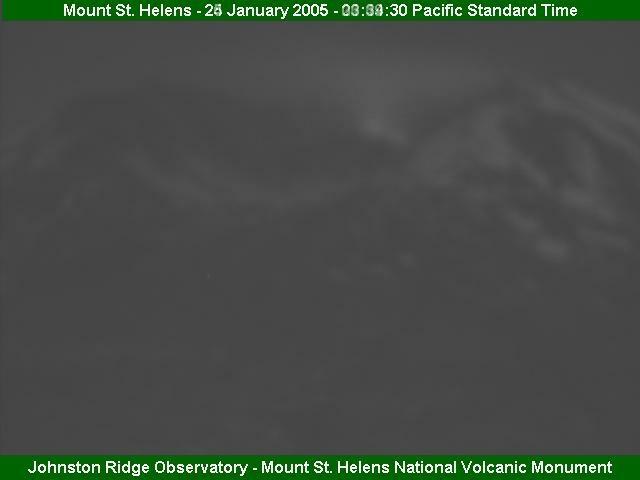 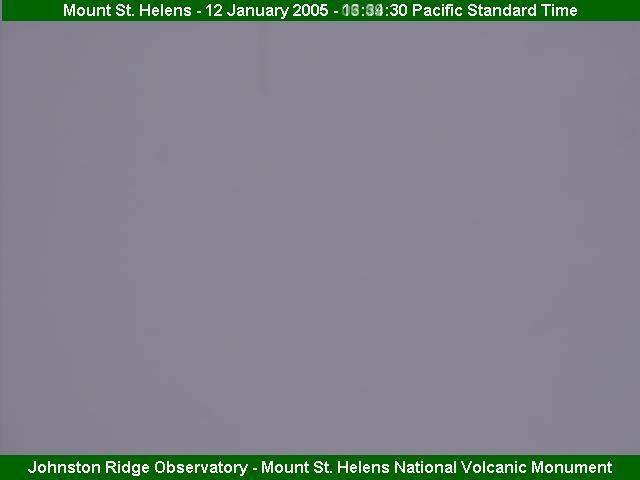 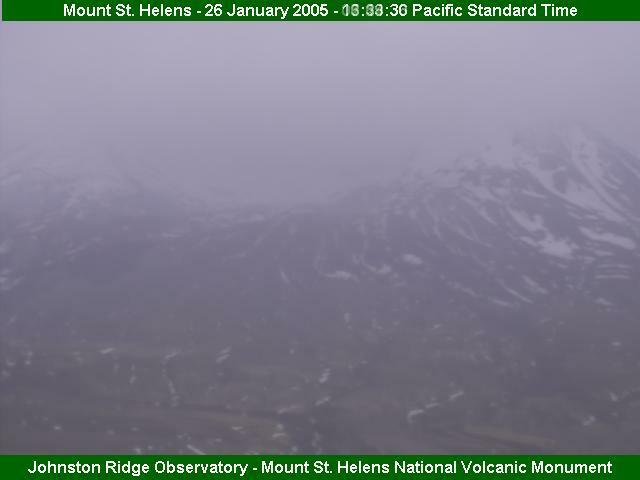 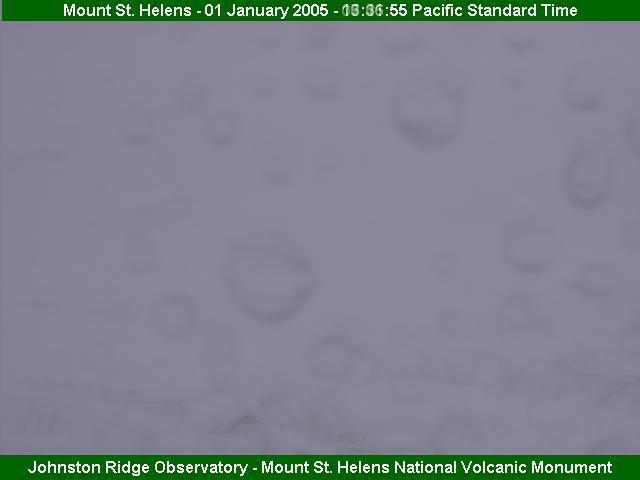 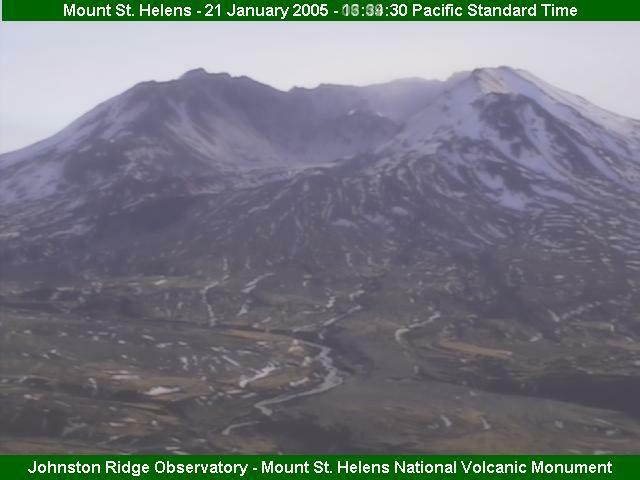 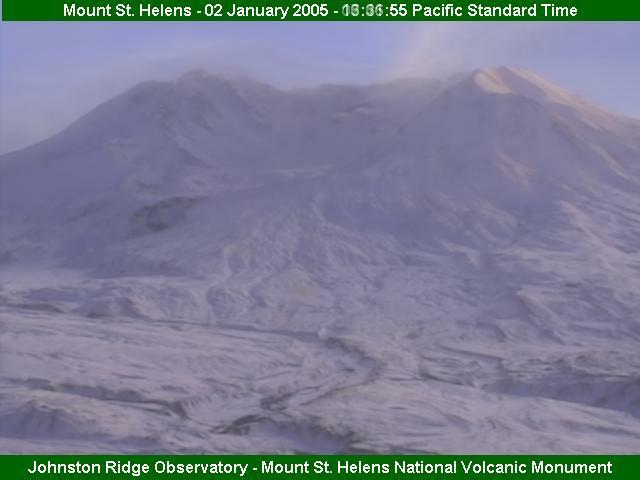 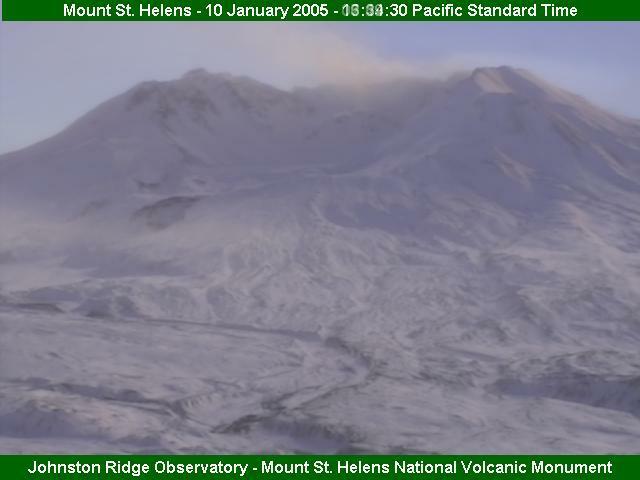 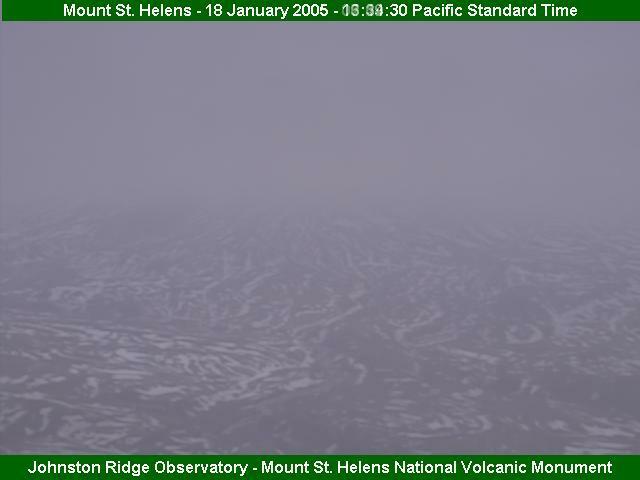 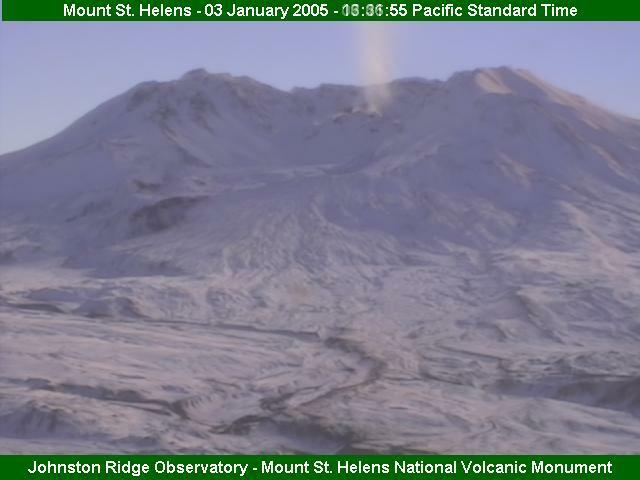 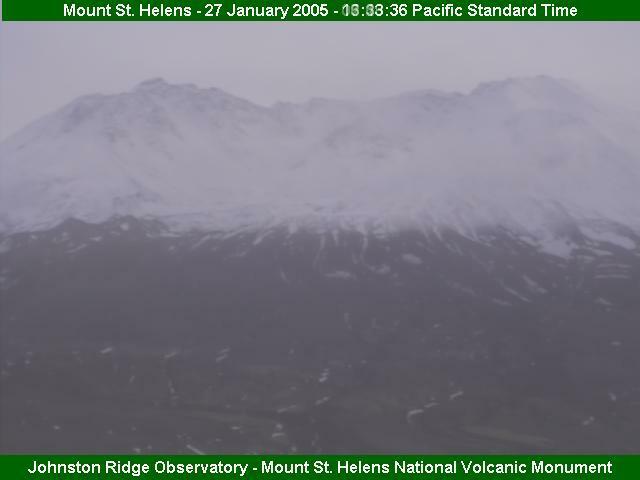 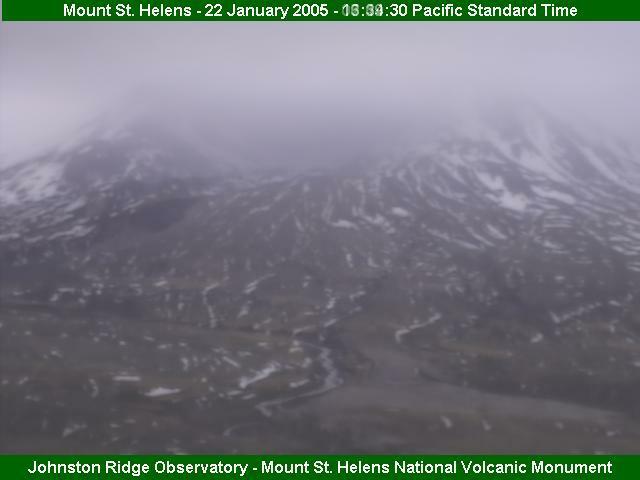 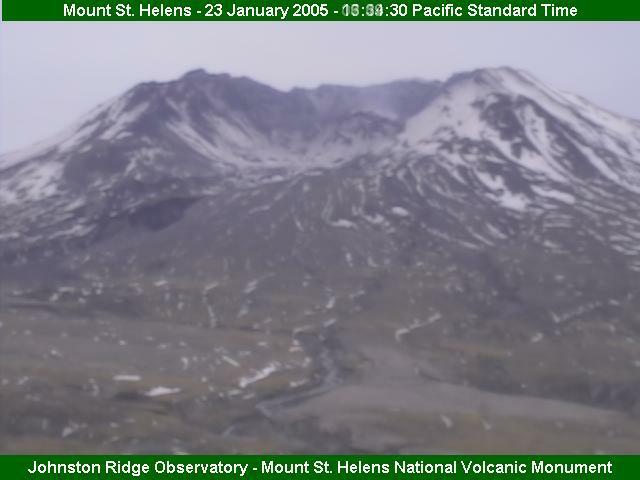 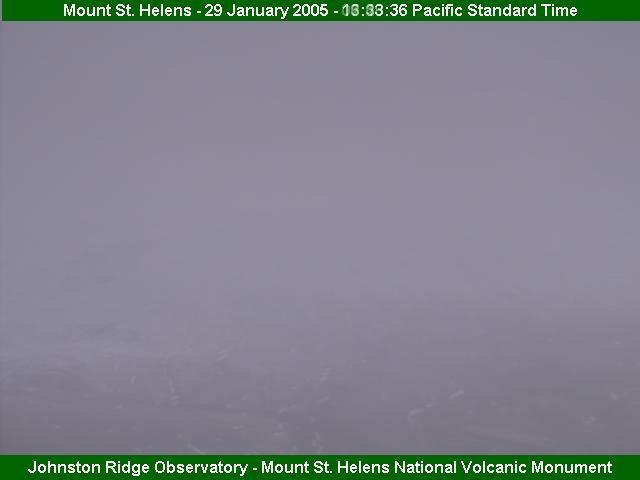 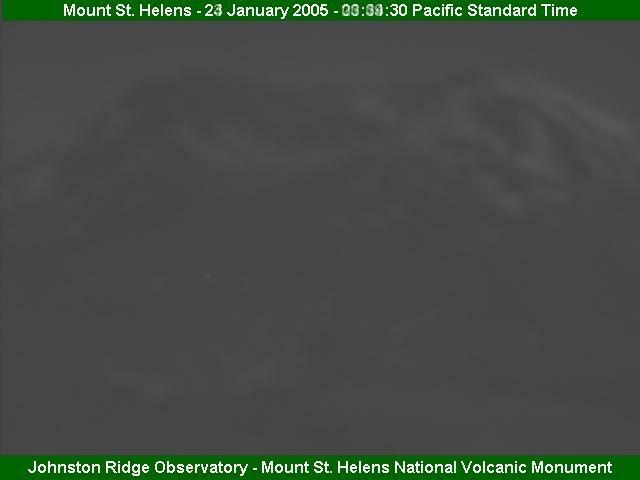 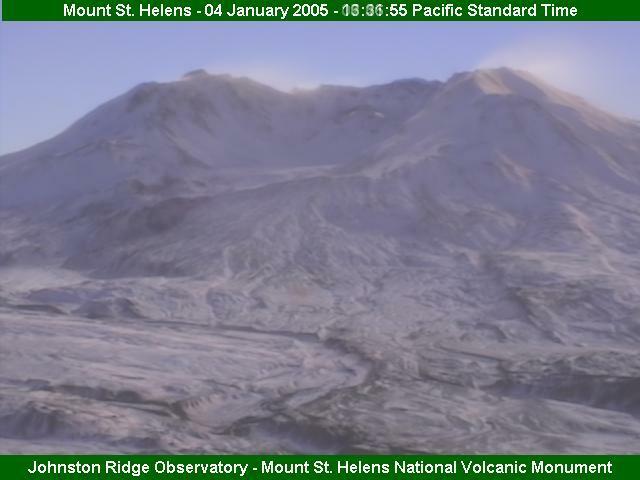 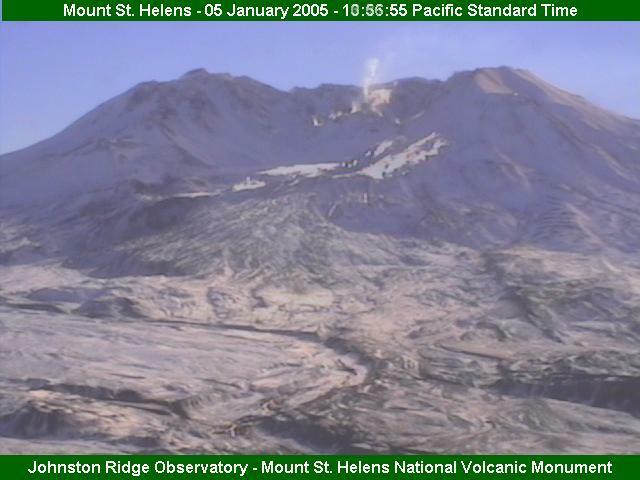 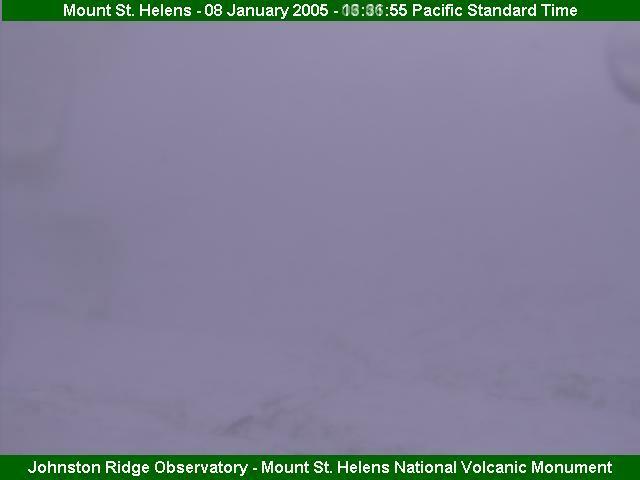 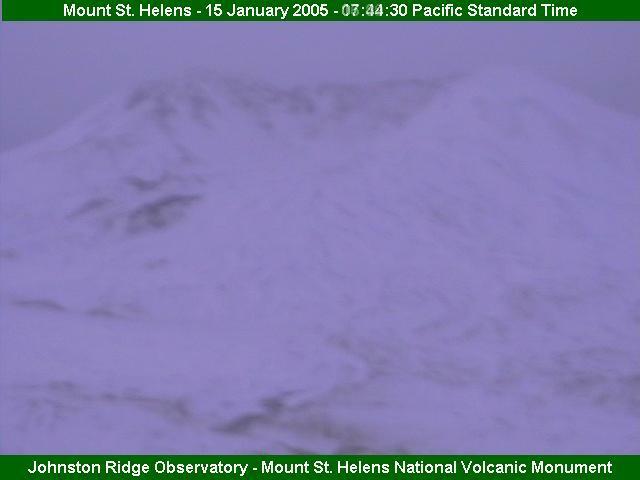 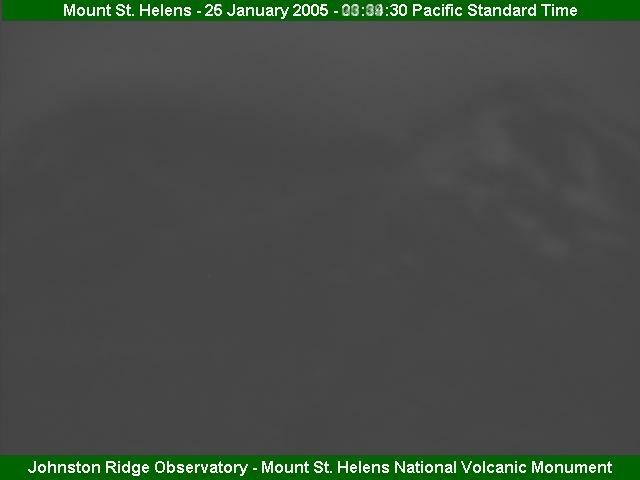 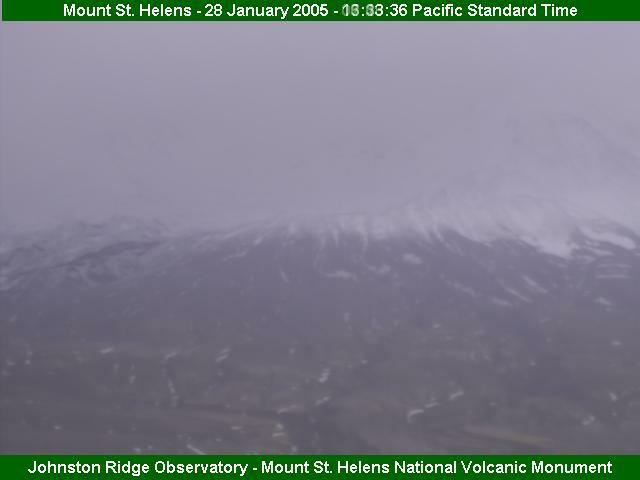 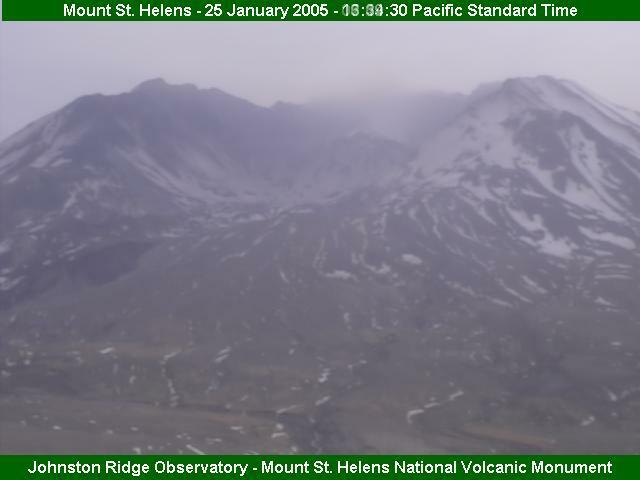 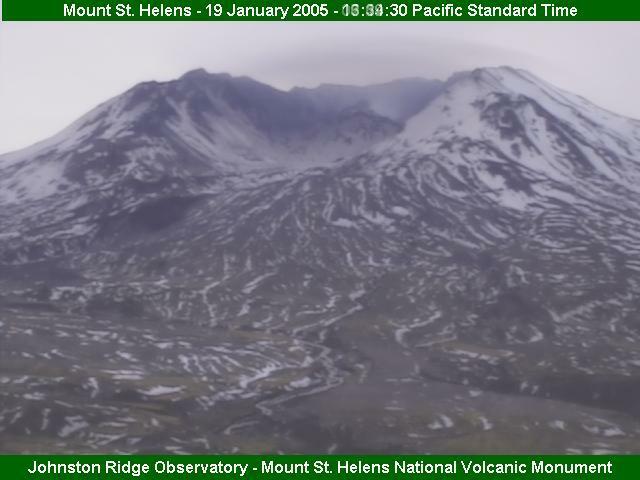 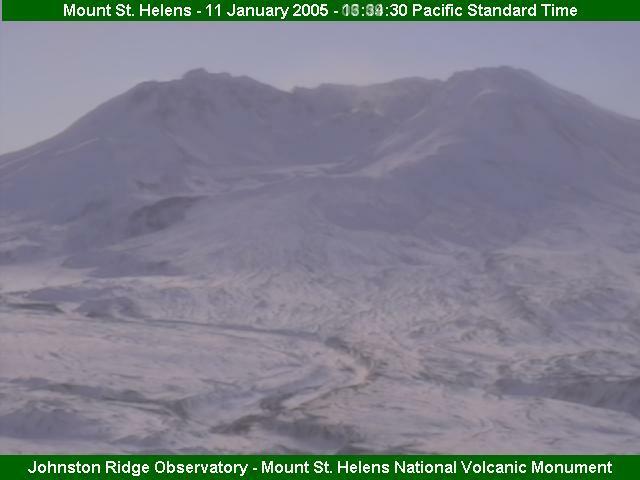 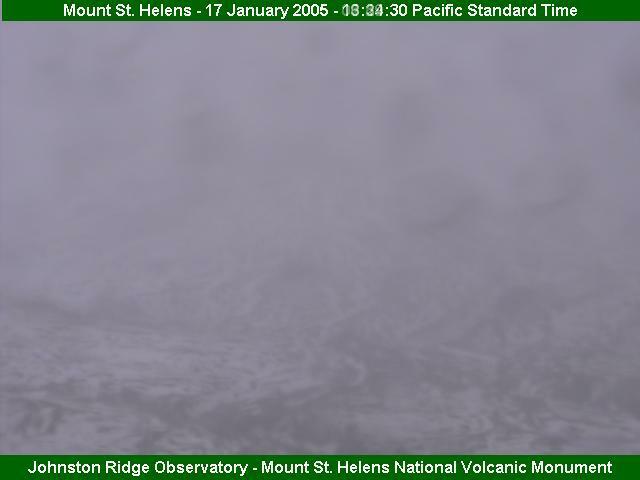 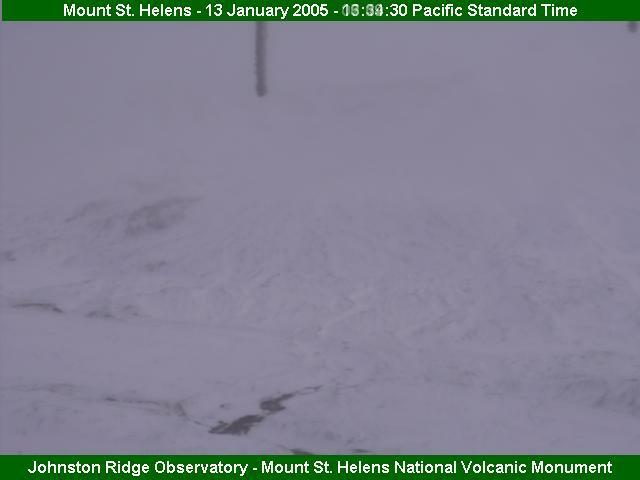 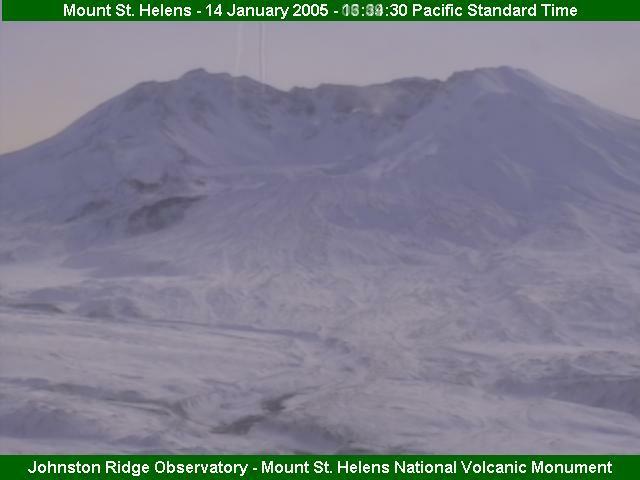 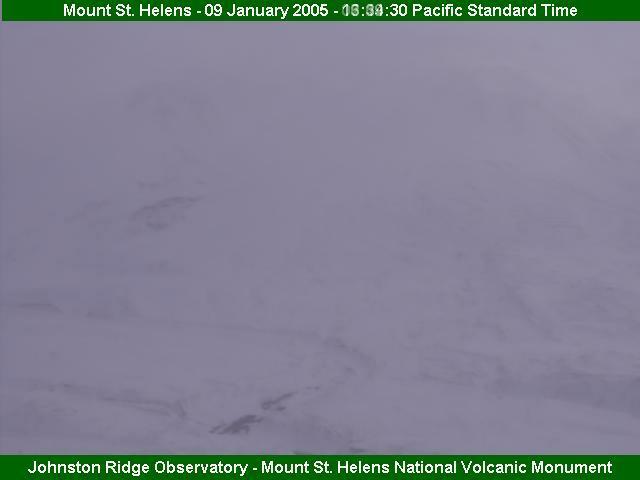 This month had multiple long Volcanocam outages. 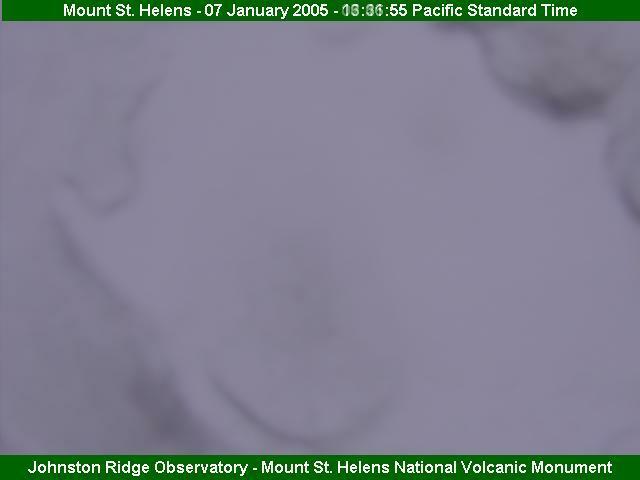 On 24th January the zoom setting was adjusted again, but the bad focus left by the previous zoom change was not fixed. 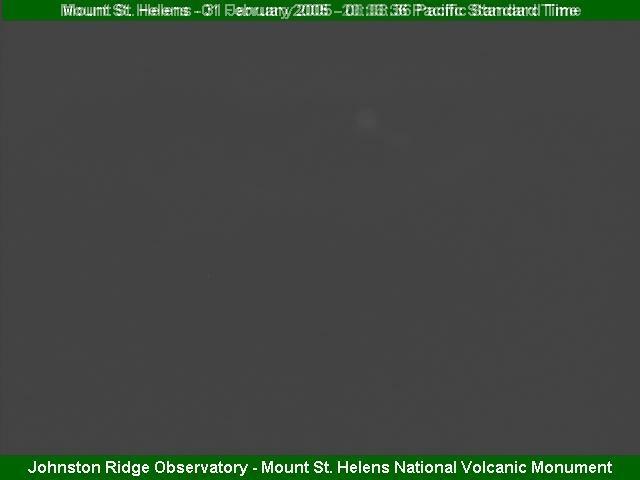 The low light images are still very blurry. 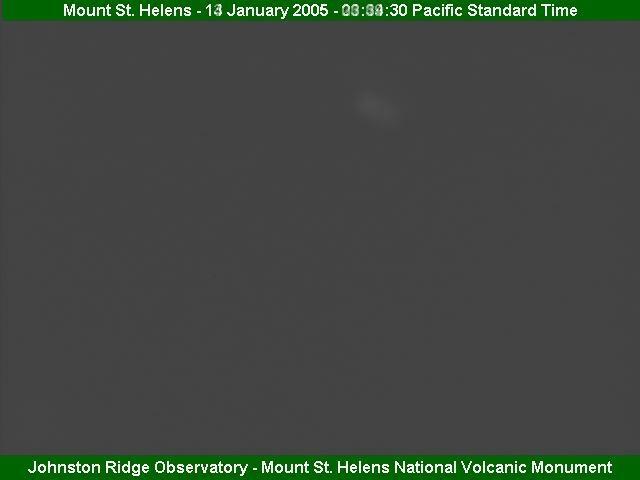 2005-01-13 Cloudy, an icicle in view (1) 2005-01-13 Faint glow with VERY bright flash!